During the two-day symposium, running from 10th to 11th April, at the Kampala Serena Hotel, a summit about Africa will take place where regulators, authorities, operators and international experts of the gaming industry will discuss strategies needed to profit from the rapid growth of the market in the country. In the last 10 years, the gambling industry in Uganda has enjoyed a rapid increase in activity from casino gambling and national lotteries to new verticals like sports-betting and online betting. The Uganda government is now strengthening the regulation of the growing number of licensed gambling firms. • 95% of internet connections are made via mobile devices. Despite the fact that the gaming market is principally land-based, the explosion of mobile users and the evolution of the mobile devices is making the Ugandan area one of the most attractive for mobile business. 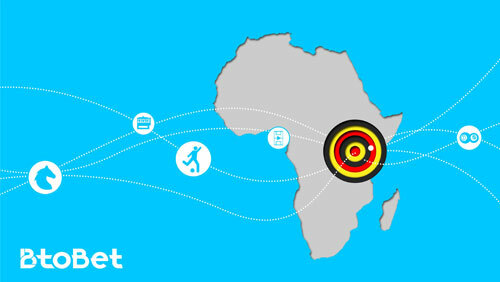 BtoBet will attend the upcoming summit in Kampala and will also be speaking on a panel on 11th April, showing how to improve the gaming management, both mobile and land-based, with a clever omnichannel technology. Don’t miss the chance to have a LIVE demo at EASB with BtoBet team!